Costco Appeals Multi-Million Trademark Loss to Tiffany & Co.
Punitive damages totaling $8.25 million. Costco is not giving up the fight on this issue. In August of this year, the company filed an appeal. In its appeal, Costco is challenging two key elements of this case: the definition of ‘counterfeit’ products and the calculation of damages in trademark infringement claims. Did Costco Sell Counterfeit Tiffany Rings? The judge in this case ruled that Costco was selling ‘counterfeit’ or ‘knock off’ Tiffany rings. This is very important because counterfeiting is a very flagrant violation of U.S. trademark law. Selling counterfeit products often opens the offending company up to higher levels of financial liability. In counterfeiting cases, it is far easier for the plaintiff to get treble damages and even punitive damages. That is exactly what occurred in this case. In its appeal, Costco is pushing back against the court’s characterization of ‘counterfeiting’. Costco did use the term ‘Tiffany’ to market the rings in its store. However, Tiffany trademarks were not used on the packaging or the rings themselves. In the original case, Costco argued that ‘Tiffany’ is now a generic term for certain types of rings. Whether or not trademark infringement occurred, Costco contends that there was no counterfeiting. The court rejected the company’s argument. One of the most important pieces of evidence raised in the trial was that Costco asked its suppliers to copy the general Tiffany style of rings. This was used as evidence that the company was acting in bad faith and that it was intentionally attempting to sell a ‘Tiffany’ product at a discount. What is the Price of Trademark Infringement? Damages are notoriously difficult to calculate in trademark infringement cases. The Costco/Tiffany lawsuit provides an illustrative example of the challenges that must be addressed when courts attempt to deal with trademark-related damages. In litigation, Costco produced evidence that it had a 10 percent profit margin on the ‘Tiffany’ style rings it sold. Tiffany balked at this assessment, noting that profit margins in the ring industry are usually somewhere near 50 percent. A judge used the 50 percent profit number to calculate Tiffany’s damages. On appeal, Costco is arguing that this is too speculative a form of damage calculation. 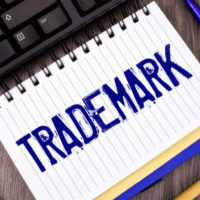 At Pike & Lustig, LLP, our Florida trademark litigation attorneys have the skills and knowledge required to handle the full range of intellectual property disputes. To get immediate assistance with your trademark law case, please contact our legal team today. With an office in West Palm Beach, an office in Miami, and a meeting location in Palm Beach Gardens, our law firm is well positioned to represent clients throughout South Florida.